Serif CraftArtist Gold isn't an expensive piece of software. At £19.99 I think it's a bargain. For the cost of less than 10 shop-bought cards, I can buy a piece of software that will help me create high-quality, personalised cards within seconds, time-after-time. I created this Thank-You card to send to some of Lara's relatives after Christmas. It took 5 minutes from the point when I first opened the software (literally, the very first time I had ever used the software), to the second the card popped out of my printer. I folded it up and it was ready for Lara to scrawl her thank-yous! If I had wanted, I could have saved my card as an image file or PDF and taken it elsewhere for professional printing to produce something properly special! CraftArtist Gold comes with a set of Baby Book templates included. Everything you need to produce smart keepsakes from your baby photos. I have a folder of my favourite photos of Lara set up on my computer. 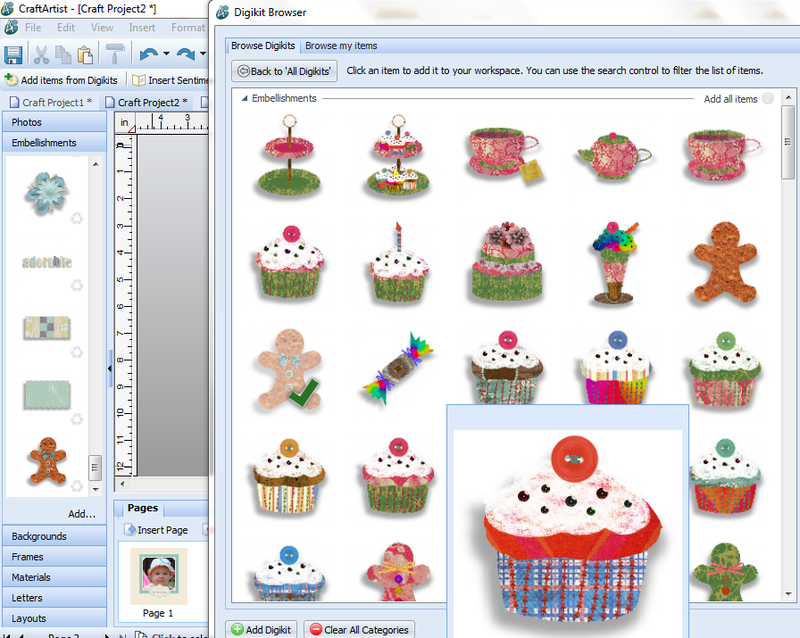 I opened CraftArtist, chose a themed Baby Book project and pointed it to my folder – it did the rest. It runs through your photos and places them on each new page of the baby book, choosing landscape or portrait photos to fit the best frames. The pages of the book have designs and places to add notes and writing once printed. There are several different designs to choose from and, as with all of the templates provided, you can manipulate their style, colour, layout and embellishments to your heart's content if you want to make something truly unique. CraftArtist Gold includes a number of stationery templates including some simple, yet smart invites. I wish I had these to build on when I wrote the invites for Lara's naming day, and her first birthday party. If you are feeling a little more adventurous then why not try one of the Make & Do kits? These are project templates that require a little more effort than just choosing an image, placing it and printing it out. 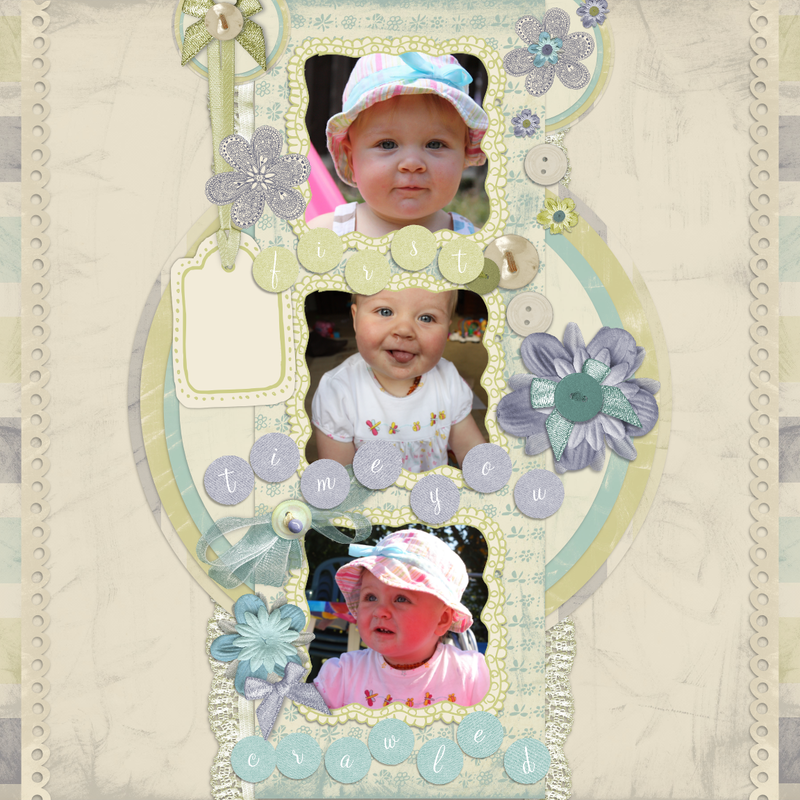 The default Make & Do projects include a new baby card which requires you to cut out pieces and stick them together and add sequins and foam backing pads to make a really impressive card for someone special. The beauty of Serif software is that you can download add-ins from their DaisyTrail website. Mellow Mummy was built using one of their free Digikit add-ins. Within CraftArtist you can browse free and paid-for Digikits and then link straight to the DaisyTrail website to download them. Digikits often contain great new fonts, small embellishments such as buttons or small images, coloured and patterned backgrounds and new template designs. It is these small but helpful kits which make the Digikits ideal for bloggers who want to make their website designs look professional without spending a lot of money for a web designer. Remember, that if you use something on your website that you have built using Serif CraftArtist then you can't use it for commercial gains and you can't claim it as your own – you have to credit them. I found Serif CraftArtist Gold to be extremely easy to start using but with plenty of features which allow me to take control of my own work. I could choose to keep on using the default settings for everything, or I could use the full power of the image editing features to tweak every single little element of my creation until my heart is content – it is entirely up to me. The user interface is intuitive and there is always lots of contextual help should you need it, such as online video tutorials. Stay tuned to Mellow Mummy to see my Valentine's creations using CraftArtist – coming soon! 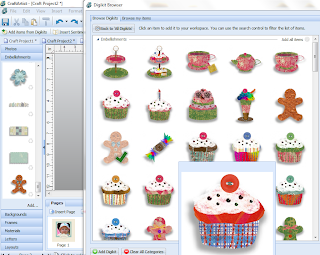 Serif CraftArtist will be available to buy online from http://www.serif.com or Amazon and in store at PC World and Argos from January 21st and is compatible with Windows XP, Vista and 7.